Information and maps about the South Bay by Lynn O'Donnell Real Estate professional. Lynn O'Donnell Real Estate Agent. Los Angeles, South Bay. Communities in the South Bay = Manhattan Beach, Hermosa Beach, Redondo Beach, Torrance, El Segundo, Lomita, Palos Verdes, Gardena, Hawthorne, Gardena, and San Pedro. Map of Los Angeles South Bay Cities. El Segundo is just North of Manhattan and not on this map. Map below and description from Wikipedia, the free encyclopedia.. The South Bay is a region in the southwest peninsula of Los Angeles county, California, United States. Its name stems from the fact that it stretches along the southern shores of Santa Monica Bay, which forms its western border. The picture at right uses the broadest definition of the region, including all communities south of the 105 and west of Long Beach (with the exception of Compton, which is generally considered South LA). 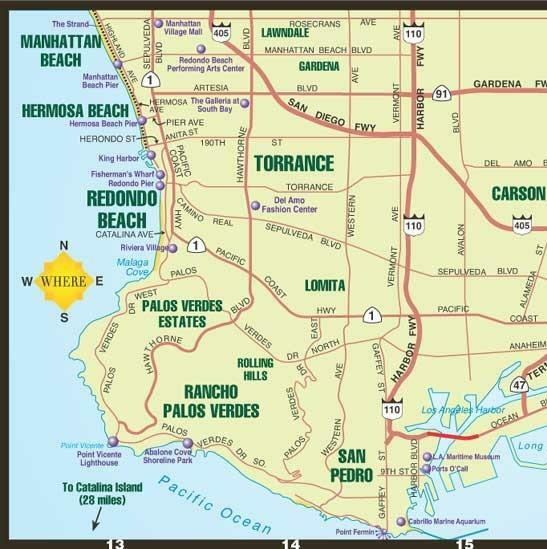 A more restrictive definition of the South Bay includes only the Beach Cities (Manhattan Beach, Hermosa Beach, Redondo Beach) El Segundo, the Palos Verdes Pennsula, and Torrance. This definition is more commonly found near the ocean, while not as accepted in the inland portions of the South Bay. The region is bordered on the north by West Los Angeles, on the northeast by South Los Angeles, on the east by the Gateway Cities, and on the south and west by the Pacific Ocean. Manhattan Beach — Named by developer Stewart Miller after his New York hometown. It won a coin flip to become the town's official name over Shore Acres, the other contender. Redondo Beach — Named after the nearby land grant Rancho Sausal Redondo (“Ranch of the Round Clump of Willows”). 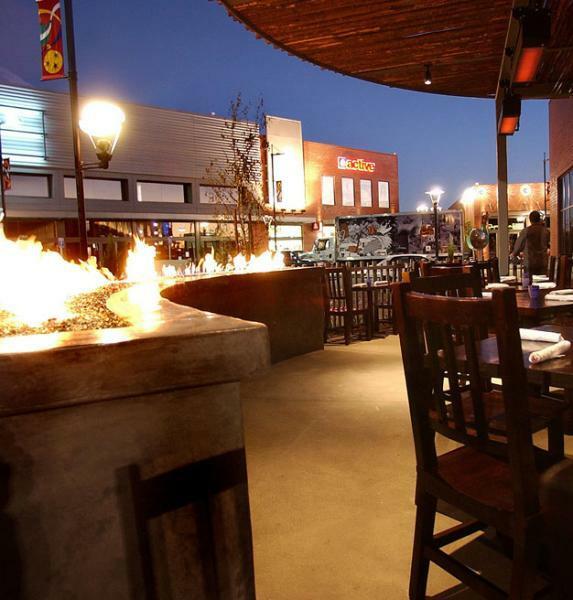 Torrance — Named after its founder, Jared Sydney Torrance. Other names considered for the city included Southport, Obrador, Coronel, Don Manuel and Industrial. El Segundo — Spanish for “the second.” Incorporated in 1917, named by executives from Standard Oil in 1911 as they searched for a location for the company's second refinery. Hawthorne — Incorporated in 1922, named after American novelist Nathaniel Hawthorne. Palos Verdes — Spanish for “green sticks.” Probably named after Canada de Los Palos Verdes, a wooded area near current-day Machado Lake in Harbor Regional Park. San Pedro — Named by Spanish explorer Sebastian Vizcaino in honor of St. Peter, the second-century Bishop of Alexandria. Wilmington — Named by developer and entrepreneur Phineas Banning after his home town of Wilmington, Delaware. Inglewood — Incorporated in 1908, supposedly named by a visitor from Inglewood, Canada after his home town. The new Del Amo Mall has over 300 stores. It is huge!